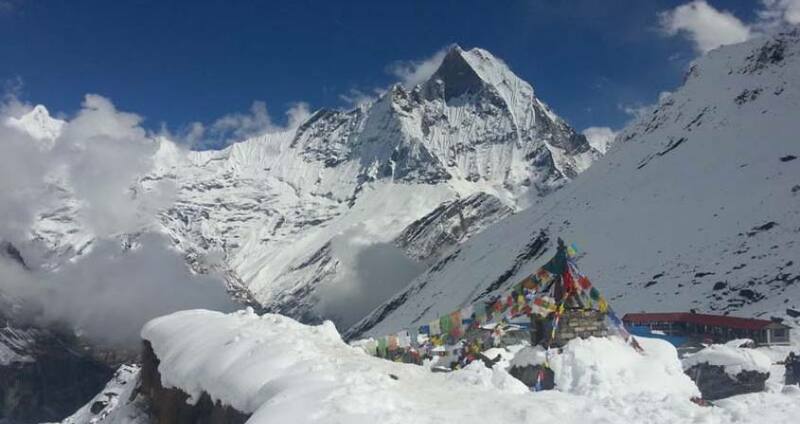 Singu Chuli peak (6501m) is located in Annapurna array within the enclosing of Annapurna Sanctuary Trekking route following the program of 17 days. It is the outstanding exceptional expedition style highest trekking peak in Nepal which is heretofore know as the ‘’Fluted Peak”. You can cross this trail with Pink Mountain Treks and Expedition by several paths basically you follow the trail of the north-east face through the Machhapuchre Base Camp and pass south Annapurna glaciers with rock overhanging way. The Annapurna sierra sweeps approximately 64km among the Kali Gandaki and Marsgyangdi river valley of central Nepal. Singu Chuli is a gargantuan step up from Valley of Modi River, so our programs on the ascent of Singu Chuli peak climbing will be begin from the amazing Gurung’s above the Modi arduous. This trail offers you great combination of cultural and natural sites i.e. Ghandurk, Chomorng & Deaurali, Sinuwa before arriving Machhhapuchhre Base Camp. Where you can be able to enjoy the scenic view of the mountains like; Annapurna I, Annapurna III and snow peaks. We will reach at the Singu Chuli Base camp by passing through the Modi Khola gorge to the Annapurna Sanctuary base camp(4350m)and there will be two heights camps like 1st at North-East approach(4900m) & 2nd one is North-East(5500m) face of the mountain before ascent is gained. Day 01:Arrival at Kathmandu Airport and meet with representative of Pink Mountain Treks and Expedition then direct transfer to hotel. Day 02:Gears preparation + permit overnight at hotel. Day 03:Departure by Tourist bus to Pokhara, overnight at hotel. Day 13:Trek to Nayapul and drive back to Pokhara, overnight at hotel. Day 16:Departure from Hotel to Airport for your own destination services END of Pink Mountain Treks and Expedition. Day 1Arrival at Kathmandu Airport and meet with representative of Pink Mountain Treks and Expedition then direct transfer to hotel. Day 2Gears preparation + permit overnight at hotel. Day 3Departure by Tourist bus to Pokhara, overnight at hotel. Day 13Trek to Nayapul and drive back to Pokhara, overnight at hotel. Day 16Departure from Hotel to Airport for your own destination services END of Pink Mountain Treks and Expedition.